NETZSCH Pumps & Systems manufactures positive displacement pumps to a worldwide client base. The NETZSCH range of NEMO progressing cavity pumps and TORNADO rotary lobe pumps are designed specifically for the most demanding applications. 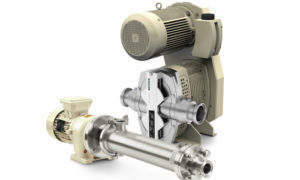 NETZSCH pumps range in size from the industry’s smallest for metering to high-volume pumps for applications in the oil and gas or mining industries and are available in industrial and hygienic versions for the food and pharmaceutical industry. All NEMO and TORNADO pumps are made according to necessary manufacturing and hygiene standards and guidelines. NETZSCH places the greatest importance to production methods, which saves resources when using its certified materials to ensure it complies with quality standards at all manufacturing sites. As NETZSCH Pumps & Systems manufactures both industrial and hygienic rotary lobe and progressing cavity pumps, customers can rely on impartial advice to ensure that the pump system they get is the best for their application. 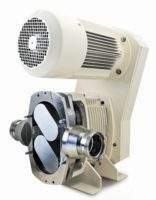 The NEMO Hygienic Pump is used in the food, pharmaceutical, cosmetic and chemical / biochemical industries for hygienic applications and optimal cleaning. It is ideal in these settings due to its continuous, pressure-stable, gentle and low-pulsation conveyance and its capability of dosing in proportion to speed. 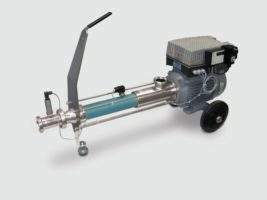 The block pump construction with flanged drive is particularly compact and economical to operate. 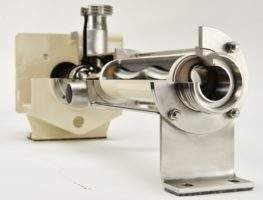 Many different regulatory bodies have set specifications for a hygienically correct configuration for components and machines, as well as for component cleanability. NEMO PUMPS are designed, produced and inspected in accordance with the regulations of the European Hygienic Engineering & Design Group (EHEDG), and the Qualified Hygienic Design (QHD). The materials used are approved by the US Food and Drug Administration (FDA) and the Federal Institute for Risk Assessment (BfR) of Germany. In addition, NEMO Hygienic and Aseptic Pumps meet the specifications of the US’s 3-A Sanitary Standards and are GOST-R certified. 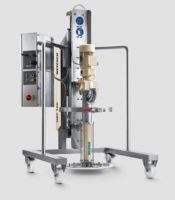 NETZSCH Barrel Emptying Systems suction themselves automatically to the bottom of the barrel or container to achieve near residue-free emptying in the cosmetic, pharmaceutical and food industries. The heart of the Barrel Emptying System is a volumetrically conveying NEMO Progressing Cavity Pump. When the NEMO Pump is started, a vacuum is created under the follower plate. This plate simultaneously generates a light amount of pressure on the substance in order to guarantee constant product flow. In everyday practice in the food industry, there are high demands on hygienic processing for sensitive products on top of the pressures of competition and efficiency. 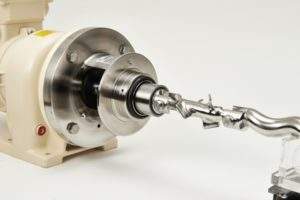 NETZSCH’s modern production and conveying systems, such as the new TORNADO T.Sano rotary lobe pump, are specially developed for this requirement. The pump chamber is made entirely from stainless-steel and the new construction provides for less pulsation and wear. 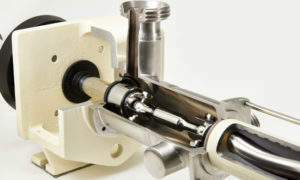 All metallic components of the rotary lobe pump, which come into contact with the delivery medium, are made using stainless-steel and elastomer seals, in accordance with the US FDA. The T.Sano is available in various sizes to accommodate for delivery quantities of eight to 140m³/h. 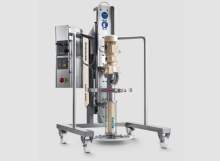 The smallest model is best suited for the flexible filling of edible oils, because only up to 27m³/h will be delivered at a back-pressure of up to 4bar. The speed can be variably set between 150rpm – 440rpm. The company is headquartered in Germany and has manufacturing facilities also located in Brazil, China, India and the US, with 30 direct sales offices and over 200 representatives. Statistics tell us that every German citizen eats around 9.5kg of chocolate a year, in the form of bars, hollow figures, pralines and such like, with a particularly steep rise in consumption at Easter and Christmas. 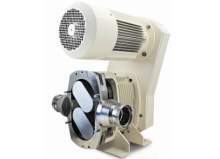 The NETZSCH TORNADO® is a valveless, self-priming, positive displacement pump that can be optimally customised to meet specific process and application requirements. The NEMO® hygienic pump is used in the food, pharmaceutical, cosmetic and chemical / biochemical industries for hygienic applications and optimised cleaning. NETZSCH Barrel Emptying Systems suction themselves automatically to the bottom of a barrel or container to achieve near residue-free emptying for applications in the cosmetic, pharmaceutical and food industries. The TORNADO® T.Sano rotary lobe pump from NETZSCH Pumps and Systems, which provides less pulsation and wear, features a pump chamber made entirely from stainless-steel. NETZSCH's product range includes NEMO® progressive cavity pumps, TORNADO® T2 rotary lobe pumps, NETZSCH accessories, and NETZSCH barrel emptying systems. 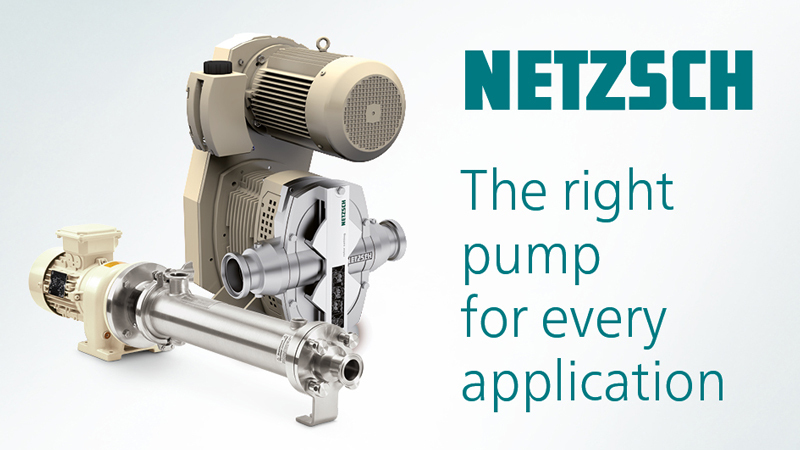 The NETZSCH product range covers everything from the smallest dosing pumps, with flow rates of a few millilitres, to high-performance 1000m³/h pumps. NETZSCH has announced it will be presenting its pump solutions at the Hannover Messe 2017. NETZSCH has announced it will be present at the Wasser Berlin International in Berlin, Germany. 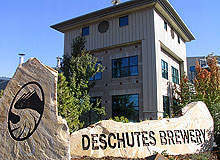 At a brewing company in Pennsylvania in the US, the brewmasters turned to reliable NETZSCH NEMO® progressing cavity pumps for the difficult jobs of moving spent grain and yeast through the brewing process. A large wine cellar in the northern-Italian province of Trentino now uses special pumping technology from Germany-based NETZSCH Pumps & Systems. The progressing cavity pump from NETZSCH works exceptionally smoothly, leaving wine unchanged, as tests have demonstrated. At the same time, the technology is so compactly installed that it can be moved wherever needed along with its switch cabinet, so the vintner can work at all tanks with just one pump. 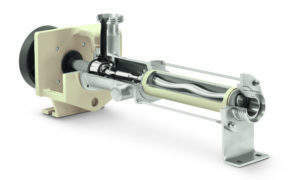 NETZSCH Pumps & Systems has developed special barrel emptying systems that function as sealed systems, due to a tailored secondary plate, and are sufficiently powerful on the suction side to leave residues of just 1%-2%. In the current reworked version, the entire design has been slimmed down for simpler cleaning and mobility. The new TORNADO® T.Sano rotary lobe pump from NETZSCH Pumps & Systems features a pump chamber made completely from stainless-steel. Simultaneously, the new construction provides for less pulsation and wear. 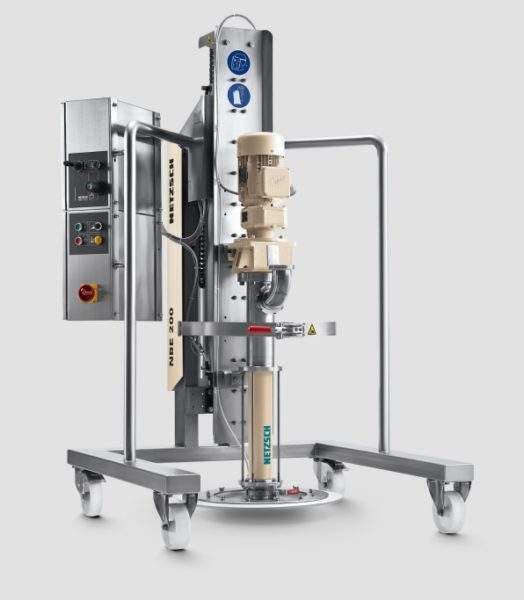 For a large producer of edible oil, a TORNADO® T.Sano rotary lobe pump, together with a measurement cell and control unit, has been installed on a small trolley to enable direct and flexible filling of different types of containers.